This book was originally written in Dutch by Henry Beets (1869-1947). Translated by Dr. Nelson Van de Luyster. Jannes Van de Luyster founded Zeeland in 1847. He was born in the Netherlands in 1789 and died in 1862 at Zeeland, Michigan. Originally published: Zeeland, Mich.: Zeeland Record Company, 1949. Reprint. 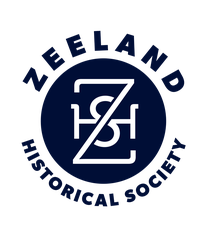 [Zeeland, Mich.] : Zeeland Historical Society, 2009.